There are currently 549 bird species on the Hong Kong list, a considerable number for a territory which, at 1092 square kilometres, could fit easily into the Greater London area. There are two main reasons for this avian diversity. The first is Hong Kong’s coastal location on the migration route between northeast Asia and southeast Asia/ Australasia. The second is the diversity of habitats within the region, especially out in the New Territories north of the main urban areas. 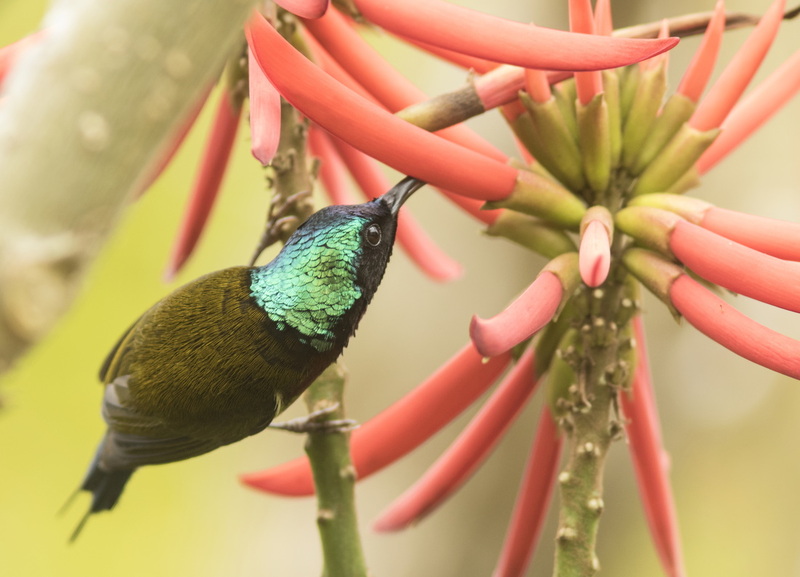 Another factor is that Hong Kong has been well-covered by bird watchers since at least the 1950s, at first by expatriates and more recently by a growing number of local bird photographers. The key sites that visitors to Hong Kong would be interested in are Mai Po, Long Valley and Tai Po Kau. Mai Po Nature Reserve, adjacent to the Deep Bay mudflats, is world famous for the variety of water birds that occur there. Up to 80,000 birds feed out in the bay during the winter months comprising roughly 70 different species. Peak counts in recent years have consisted of 10,000 cormorants, 13,000 ducks and grebes, 3,000 herons and egrets, 8,000 gulls and 22,000 shorebirds. In addition, up to 24,000 shorebirds – many of them from as far away as Australasia - use the mud flats as a place to refuel during spring migration to their northern breeding grounds. Thirty-four of the 400 or so species that have occurred on the reserve are on the IUCN Red List, including regular species such as Swinhoe’s Egret, Falcated Duck, Greater Spotted Eagle, Eastern Imperial Eagle, Nordmann’s Greenshank and Spoon-billed sandpiper. 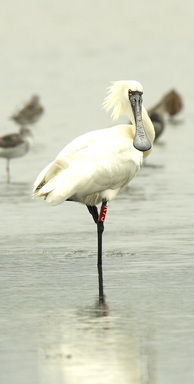 Most important perhaps is the Black-faced Spoonbill. Mai Po is one of the few sites where this endangered species winters regularly and it can hold up to 25% of the known world population. The World Wide Fund for Nature Hong Kong began to manage the ponds at Mai Po in 1983. 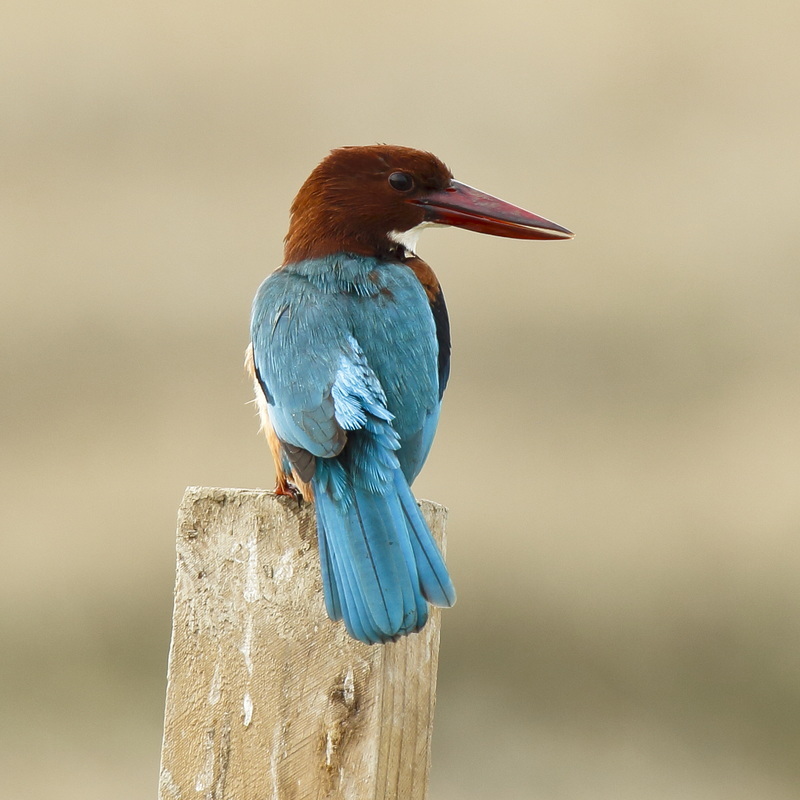 Although the emphasis has been on birds, the area is ecologically diverse and a variety of other animals and plants can be found on the reserve. The numbers are impressive: 93 butterfly species, 52 different dragonflies, 28 amphibians and reptiles and 27 kinds of mammal have been observed in the area. Long Valley is an area of agricultural fields and marsh land east of Mai Po. This site is known for its breeding Greater Painted-snipe and for the variety of eastern Palearctic migrants that occur during the winter, but especially on passage in October/November. 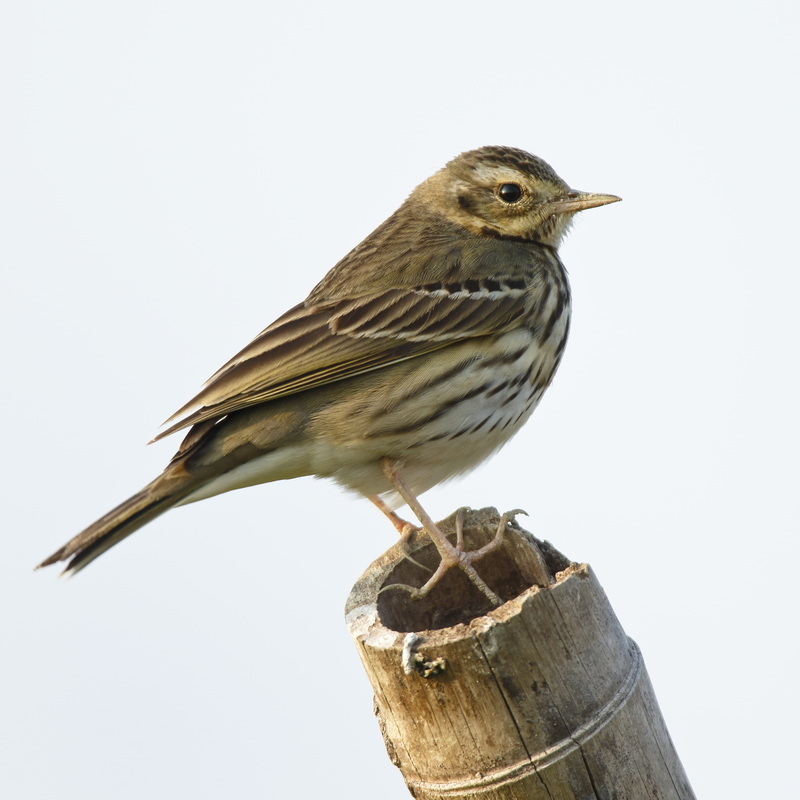 A rice-planting scheme that involves the cooperation of farmers with local conservation groups has proved attractive to birds and several species of buntings in particular can be found in the fields in the autumn months. The original landscape of southern China was sub-tropical forest. That forest was cut down by man over millennia so that by the time that Britain colonised the area in the nineteenth century, virtually no woodland remained. The British initiated tree plantation schemes, mainly to stabilise the soil in water-catchment areas. However, these plantations were in turn cut down by the Japanese during the Second World War for fuel. Therefore, most of the trees that can be found in Hong Kong are a result of planting after 1945. Tai Po Kau Forest Reserve lies at the eastern end of a chain of catchment forest that extends across the central New Territories. As it has matured, it has become one of the richest lowland forests in southern China and the number of species continues to increase. 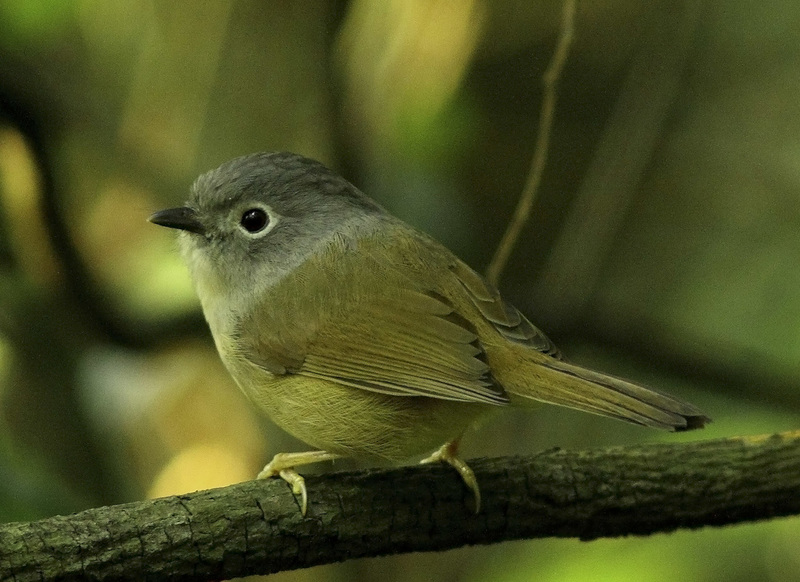 In recent years birds that have spread into the territory from mainland China and have established viable breeding populations include Pygmy Wren Babbler, Mountain Tailorbird, Lesser Shortwing, and Bay Woodpecker. This year, there have been sightings of Chinese Barbet which suggest that this species may also be establishing itself in the forest, and it has recently been added to the official Hong Kong list. There are a number of other birding sites in the region. The one most visited by birders and photographers is the island of Po Toi. Po Toi lies to the south of Hong Kong island and is accessible by ferry from Aberdeen or Stanley. It is a migration hotspot and can be very good for birds passing through Hong Kong in autumn and spring. It has a long list of rarities to its credit. All of the above-mentioned sites can be reached fairly easily by public transport and/or taxi. The “birding season” is between September and May. 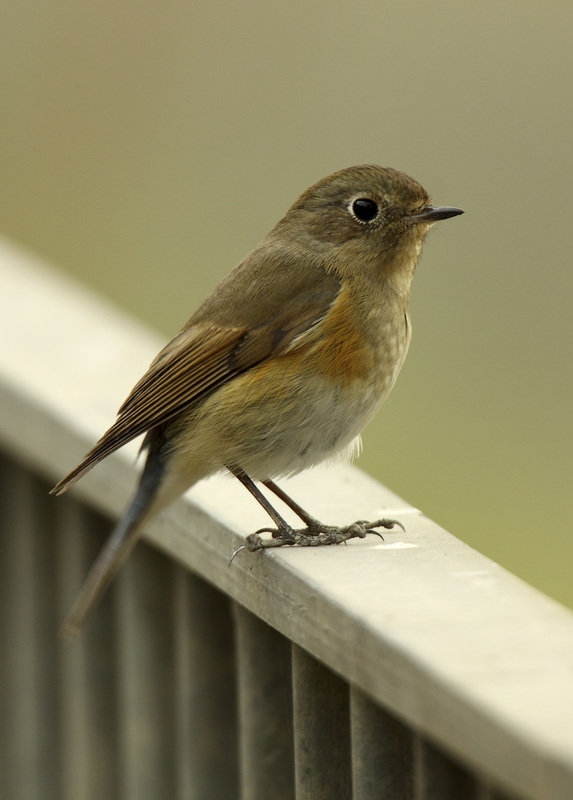 Late August and September sees the beginning of passage migration with a number of flycatchers and warblers being recorded, as well as scarcities like Fairy Pitta and Siberian Blue Robin. 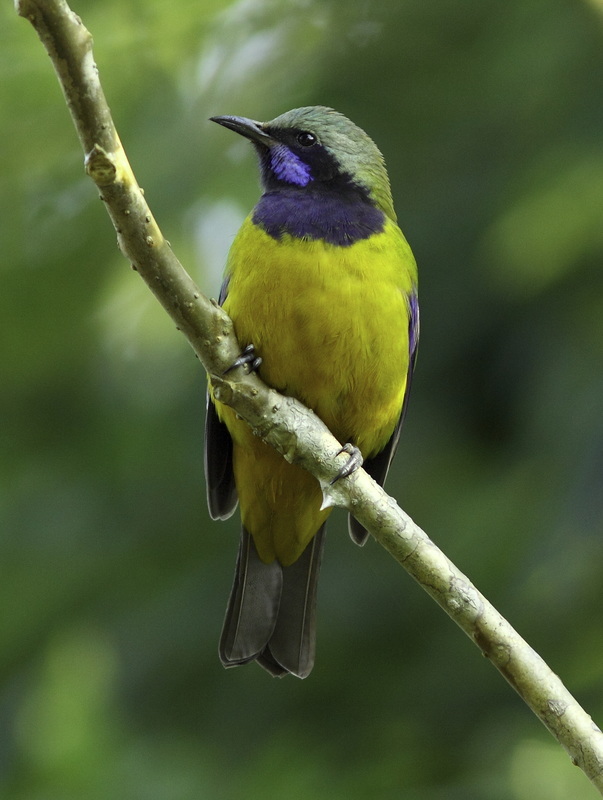 October and November are probably the best months for the variety of passerine migrants present in the territory. 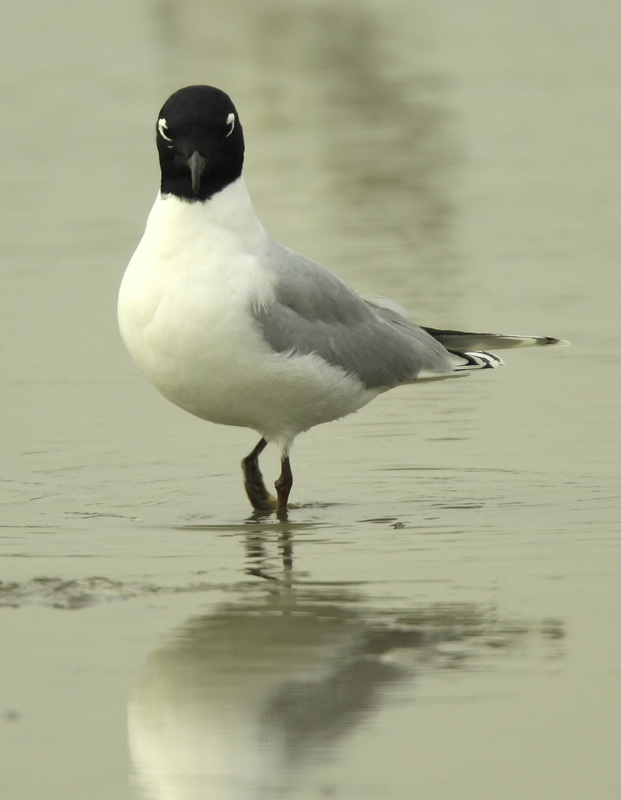 Any time from November to March can be productive for wintering visitors, including gulls on the Mai Po mud flats, and Eastern Imperial and Greater Spotted Eagles on the reserve. April is the key month to see thousands of migrating waders - many of them in breeding plumage - and mid-month is perhaps the best time for catching up with the endangered Spoon-billed Sandpiper, although the occurrence of this enigmatic wader is by no means guaranteed. Summer (May-August) are the hot, quiet months. However, the resident forest birds can still be found at Tai Po Kau. At Mai Po, there are usually some waders to be seen, including breeding Greater Painted-snipe and Black-winged Stilts, and a few Black-faced Spoonbills usually remain on the reserve. Southerly wader migration is usually evident from mid-July. Note that visits to Mai Po are best when there are tides over 2.0 metres in Deep Bay. This brings the water birds close to the hides in the bay on rising and falling tides. Tides over 2.3 metres totally cover the mud and force waders onto the reserve. At low tide (1.6 metres and below), there is plenty of mud exposed and water birds can be very distant from the hides. I offer private full-day and half-day guided tours for visitors to Hong Kong. These day tours usually take in Tai Po Kau, Mai Po, Long Valley, and perhaps one or two other sites en route between these locations. The exact itinerary may depend on the tides at Mai Po. I can arrange Mai Po permits for clients. Pick-up for bird watching outings is at one of the stations on the East Rail Line out in the New Territories – usually University station or Fanling station depending on the itinerary. Drop off at the end of the day will again be at a station on the East Rail Line. Transport to and from these stations is by private car. Full details of how to get to the pick-up point from your accommodation will be provided before the tour. Time of pick-up is at the discretion of the client.